There are laughs for days here, but nothing's beneath the comedy. Repeat bingers of The Office, barnacle viewers of Family Guy and the millions of people who apparently watch The Big Bang Theory know best that sometimes all you want out of TV is a good laugh. No heady themes or weighty social commentary or hoity-toity sense of “importance” necessary, just bring the jokes. Disenchantment, Netflix’s latest adult animated comedy courtesy Simpsons and Futurama creator Matt Groening, has no mission beyond exactly that. No doubt, this show is really funny. The problem is, its presentation makes for something that could have much higher aims at this moment in popular culture. Disenchantment is to fantasy what Futurama was to science fiction. It features the voice work of Abbi Jacobson (Broad City), Nat Faxon and Eric Andre as a respective princess, elf and demon who fall into various misadventures within the not-dreamy-at-all world of Dreamland. Each character is a walking counter-stereotype, to humorous effect. Princess Bean is undignified and rebellious, Elfo is puny and unconfident and Luci the demon is powerless to corrupt anything. Most of the show’s jokes are funneled through the misshapen trio’s banter-laden antics around the kingdom, but there’s a sense of missed opportunity here after you’ve caught your breath. In fairness, it should be said first that even if Disenchantment is only here to tell jokes, it tells them to terrific effect. This is a laugh-out-loud funny show in the style of the Groening series you’ve loved before. Doltish characters deliver quality zingers amid scenery packed with blink-and-you-miss-them visual gags (if you watch one thing closely in Disenchantment, pay attention to the signage—almost all of them advertise some snark). The series operates on a foundation of roguish cleverness that gives it a high floor, so you’re going to be hard-pressed not to enjoy any one episode. Disenchantment is goofy and fun and will probably crack you up, but again, the issue persists: These might be empty calories. 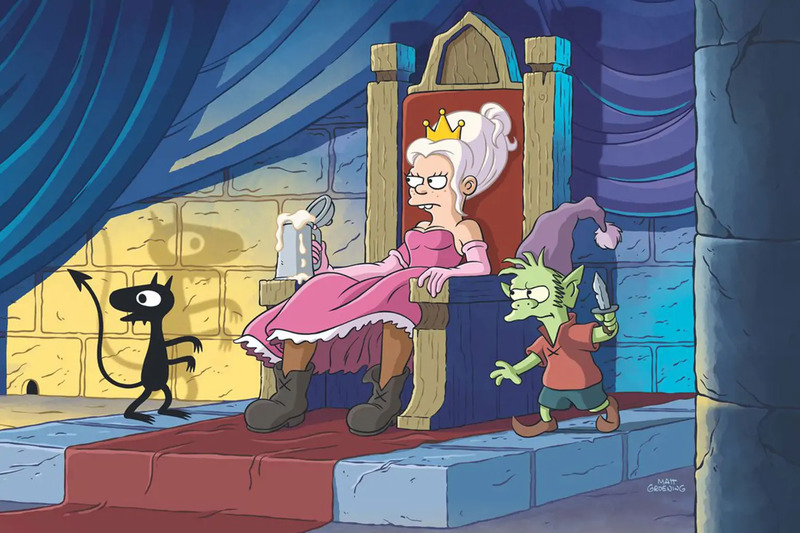 Consider Disenchantment’s place as one of the first female-centered animated comedies on TV, and consider its main story: an against-type princess bucking the traditional power structure of her kingdom and forging her own path through life. That’s timely, and the show’s medieval setting would certainly do well to expose a lot of the archaic institutions still operating in 2018. The critiques that do exist here are fun, but they’re all targeting the fantasy genre, and those archetypes and story fixtures have already been upended elsewhere on television (Game of Thrones, Outlander and, for a while, Once Upon a Time to name a few). No, you wish Disenchantment used its sharp edge against something bigger than fantasy. A show this funny and packed with talent has the weapons to fight greater kings and queens than the ones in Dreamland. Let’s commentate. Let’s peel back the curtain. Let’s hang the system out to dry. Comedy, or at least comedic slants, have led to some of the most incisive pop culture of the past few years, from Key and Peele to Get Out to Veep. New shows like Sacha Baron Cohen’s Who Is America? and movies like Blockers are sustaining that momentum to examine gender, social and racial politics, then critique the way we relate to societal ideas, our leaders and each other. Disenchantment had room to take a couple hacks at that, too—its 30-minute episodes all feel a bit baggy—but it chose to stay in its lane. That’s not wrong, just a what-if. A show like Disenchantment raises questions about how the expansion of the TV landscape has affected the way shows view those opportunities to be more than their conventions demand. 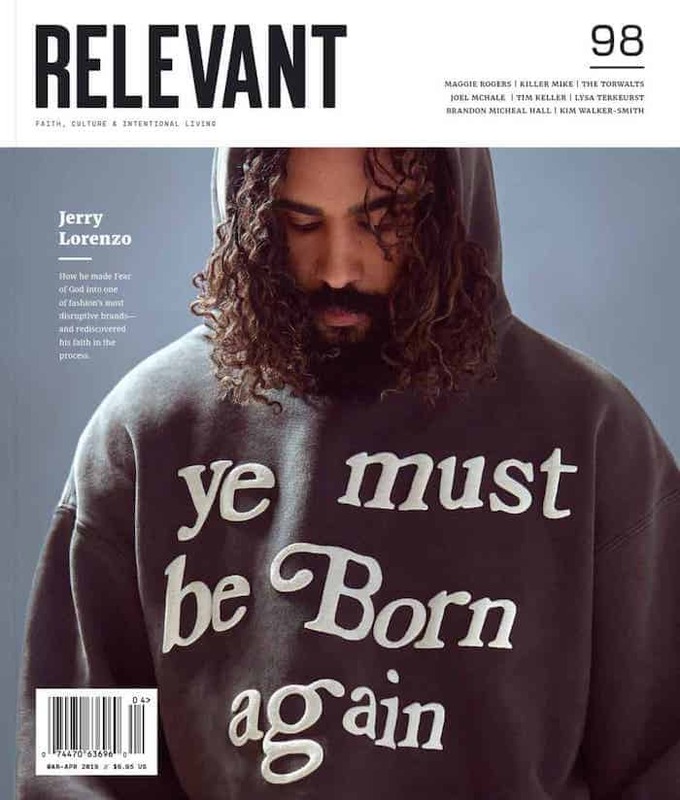 On one level, we’ve seen bolder experimentation on TV, both in form and subject, but on another level, there’s been a doubling down of the basics, with more traditional sitcoms and dramas like Roseanne and This Is Us thriving alongside the Legions and Twin Peaks of the world. In a sense, old-school crowd-pleasers have become counter-programming. And because of that, it’s totally OK for Netflix to air a show as uncomplicated as Disenchantment when it’s already devoting space to provocateurs like The Break with Michelle Wolf or animation boundary-pushers like BoJack Horseman. Disenchantment lies adjacent to those programs, and on a digital platform, that makes complete sense. On the flipside, you can argue that since Netflix occupies that limitless digital space, the stakes for Disenchantment to reach untapped audience members just aren’t that high. It could’ve taken a huge swing at some massive ideas, and a miss would’ve been minimally consequential, both to itself and its streaming home. A middle-of-the-road show like this isn’t going to attract new subscribers no matter how much of a Groening-diehard they are, and existing subscribers aren’t bailing on the service because Disenchantment isn’t as creative or must-watch as they’d hope. Those people are just clicking over to try Big Mouth or F is for Family or BoJack. The main idea: Disenchantment wasn’t playing safe out of necessity. Television can be anything it wants in 2018. There is a show for every viewpoint, background and sense of narrow-mindedness or open-mindedness. That means something like Disenchantment is allowed to be passably funny, but it also means Disenchantment is allowed to be something else. For a show that on its face looked exciting to have right now, it’s a shame it could’ve existed at any other time and been pretty much the same.